Shareholder litigation and class action suits play a key role in protecting investors and regulating big businesses. But Directors and Officers liability insurance shields corporations and their managers from the financial consequences of many illegal acts, as evidenced by the recent Enron scandal and many of last year’s corporate financial meltdowns. 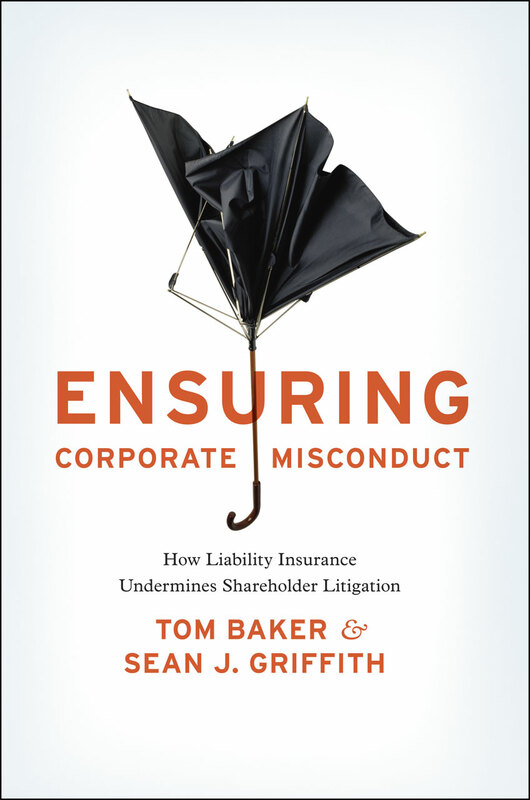 Ensuring Corporate Misconduct demonstrates for the first time how corporations use insurance to avoid responsibility for corporate misconduct, dangerously undermining the impact of securities laws. As Tom Baker and Sean J. Griffith demonstrate, this need not be the case. Opening up the formerly closed world of corporate insurance, the authors interviewed people from every part of the industry in order to show the different instances where insurance companies could step in and play a constructive role in strengthening corporate governance—yet currently do not. Ensuring Corporate Misconduct concludes with a set of readily implementable reforms that could significantly rehabilitate the system. Chapter 8. What Matters in Settlement?